You are here: Home / Prayer Points / MYANMAR and the PHILIPPINES – Flooding. A week or so ago we a wrote concerning serious flooding experienced by some of our Advent Christian brothers and sisters in Myanmar and the Philippines. “Greetings in the name of Jesus. I would like to send you prayer request – after heavy rain and water flooding now most of children become sick with the flu. I and my wife also sick now. Remember in your prayer for God to protect us and heal us from the sickness of flu. 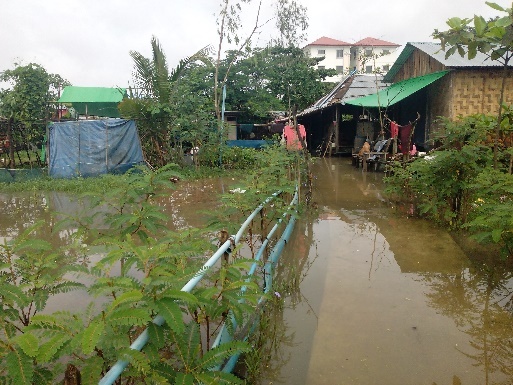 It is very likely that Pastor Timothy’s children and the members of his congregation in Yangon who were also affected by flooding will be experiencing similar problems, and Pastor Roy Rocha in Manila, in the Philippines, has advised that he and his family are taking medications to prevent illness. Please pray for all who have been affected by recent flooding.